See the CEUSN in action! 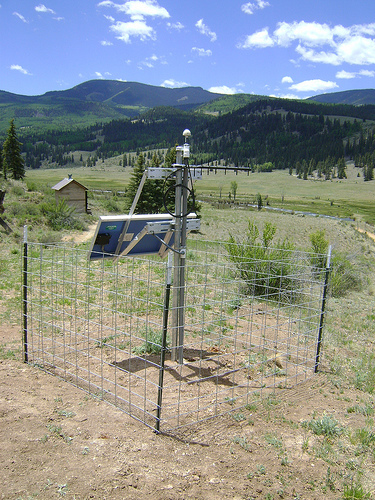 Several Federal agencies (the National Science Foundation, United States Geological Survey, United States Nuclear Regulatory Commission, and Department of Energy) recognized the unique opportunity to retain Transportable Array seismic stations in the Central and Eastern United States (CEUS) beyond the standard deployment of two years per site. The IRIS-operated long-term sub-array, known as the CEUSN, incorporates multiple criteria for site selection that were weighed by an inter-agency TA Station Selection (TASS) Working Group. In general, the stations were chosen in order to maintain a close to uniform distribution while focusing on specific criteria including proximity to known regions of seismic hazard, nuclear power plants and other critical facilities, and potential scientific targets. The site selection also deemphasized regions with significant numbers of existing permanent seismic networks. The TASS report "TA Station Selection Strategy and Recommendations" is available to review. Recent earthquakes in the CEUS, including the 2011 M5.8 Virginia earthquake, have raised awareness of the comparative lack of knowledge about seismicity, site response to ground shaking, and the basic geologic underpinnings in this densely populated region of the country. 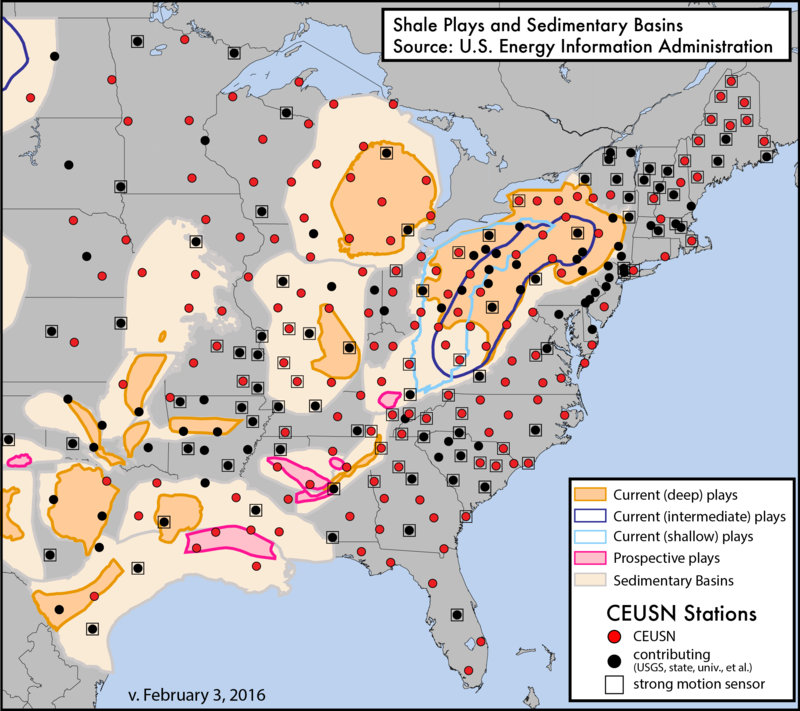 The mission of the CEUSN is to produce data that enables researchers and Federal agencies alike to better understand the basic geologic questions, background rates of earthquake occurrence and distribution, seismic hazard potential, and associated societal risks of this region. This example of multi-agency collaboration demonstrates a key example of "good government" that is motivated by the opportunity to use one facility to address multiple missions and needs in a way that is rarely available. IRIS expects to operate the CEUSN through FY17, consisting of 159 stations under network code N4. Broadband and strong motion sensors at CEUSN stations will record at 100 samples per second (sps). In 2014, IRIS produced high sample rate data (200 sps) on a trial basis with network detected event triggering. In August 2015, a Working Group for the CEUSN was formed, and charged to review and provide advice to IRIS Management and the Instrumentation Services Standing Committee on the performance of the CEUSN as it relates to the target scientific goals and objectives. The working group should provide guidance on the CEUSN both specifically, and in the broader context of the ANSS stations operating in the CEUS. The composition of the WG is intentionally very broad, with the goal of obtaining feedback from all relevant CEUSN stakeholders, including academic, federal and state governments, and relevant policy stakeholders. The Transportable Array Manager and the Director of Instrumentation Services will be the primary IRIS staff liaisons with the Working Group (WG), and will coordinate with the CEUSN WG Chair to develop topics and questions for review and action by the CEUSN WG. Find out more about the CEUSN Working Group here. Real-time updates of the CEUSN's status are available here.